FloridaWest is issuing Requests for Qualifications from qualified candidates. 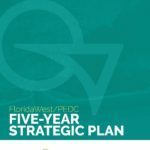 This Request for Qualifications is soliciting response from firms that are seeking to serve as the General Counsel for the FloridaWest Economic Development Alliance (CEDA). We invite your firm to submit a proposal to us, due by close of business March 8, 2019 for consideration. To view the full RFQ, please click here: CEDA Legal Services_RFP_2.12.19.